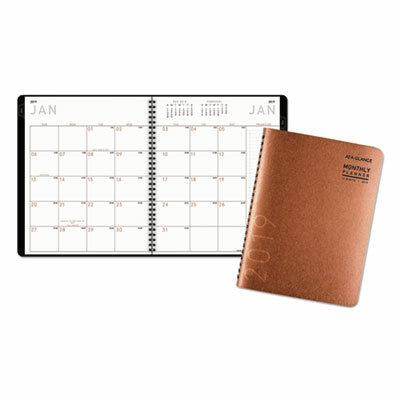 Weekly and monthly spreads cover a 12-month date range from January - December. 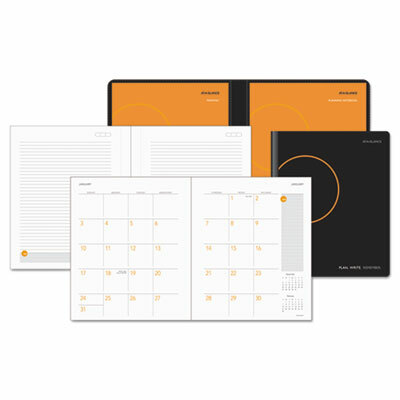 One week per two-page spread is conveniently laid out with appointment slots every half hour. 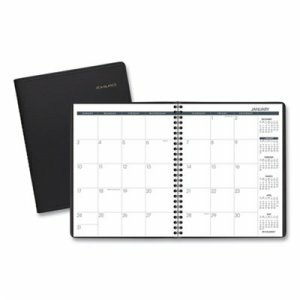 Schedule your work day in detail from 8:00 a.m. - 5:30 p.m. 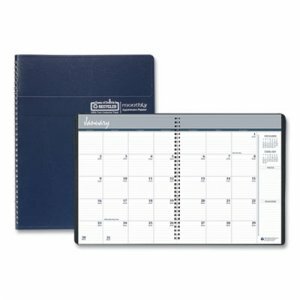 Monthly tabs provide easy navigation of the appointment book to any date. Planner is printed with vegetable based inks on premium paper to resist ink bleed; contains post-consumer waste recycled material. 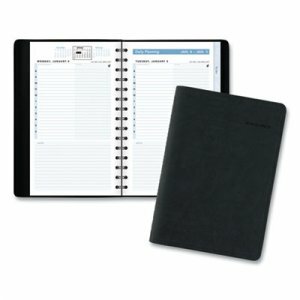 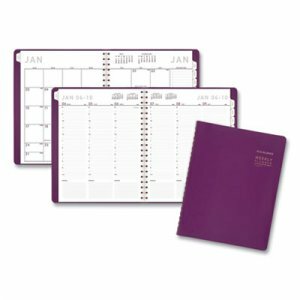 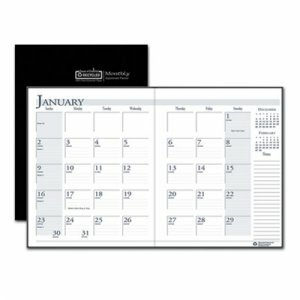 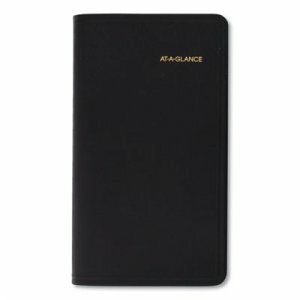 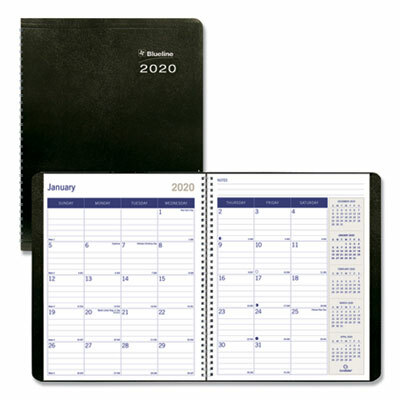 Weekly/monthly planner is wirebound with contemporary cover design.